Charges that the national abortion debate misrepresents the complex opinions of Americans, contending that the key question is how to respect both the religious-philosophical conviction that human life is sacred and individual freedom. Reprint. 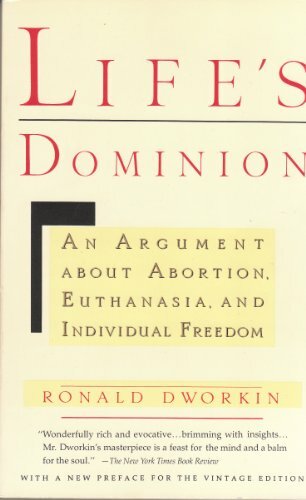 "Dworkin has made a miracle, so meticulous and rich a reformulation of how we think about the borders between life and death that it illuminates the very nature of how we live our lives." --Joan Didion. 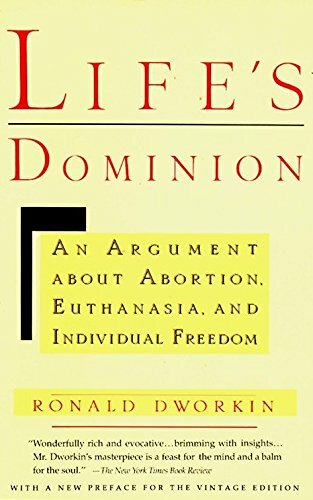 Ronald Dworkin was Professor of Law at New York University, and University Professor of Jurisprudence at Oxford University. He was a widely respected philosopher of law and the author of a number of influential books, including Taking Rights Seriously, A Matter of Principle, Law's Empire, and Life's Dominion, still used in U.S. law schools. Dworkin died in 2013.